This week’s edition of the #YNaijaInterview was with none other than Kayode Ogundamisi. The outspoken journalist gave us an insight into his activism, his thoughts on the state of the nation, and much more in this interview conducted by @stanlyazuakola. Check it out. @ogundamisi: @YNaija My method? We live in unusual circumstances, when U are dealing with a mad ruling elite, it is unwise to be ‘civil’. I have physical scars from torture during military era, so u can see why I get angry that democracy is being abused. @ogundamisi: @YNaija Totally untrue, cite examples & I will respond accordingly. @YNaija: @ogundamisi Alright Sir. We’ve come to the end of this week’s #YNaijaInterview. Big thanks for your time and forthrightness. 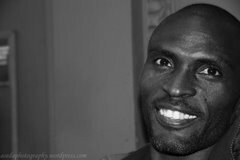 @YNaija: It’s been @ogundamisi on the #YNaijaInterview. Hope you loved it. We’ll be back next week.